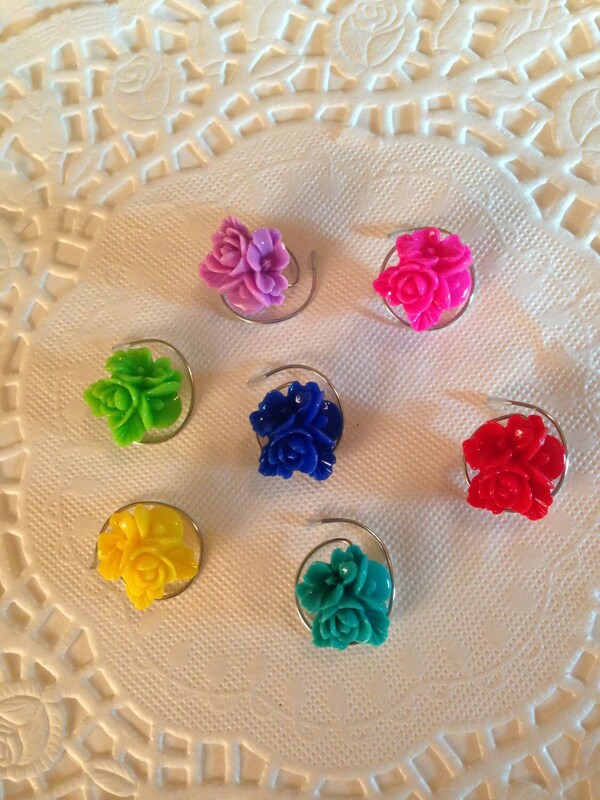 Adorable hair coils in shiny resin triple flowers. 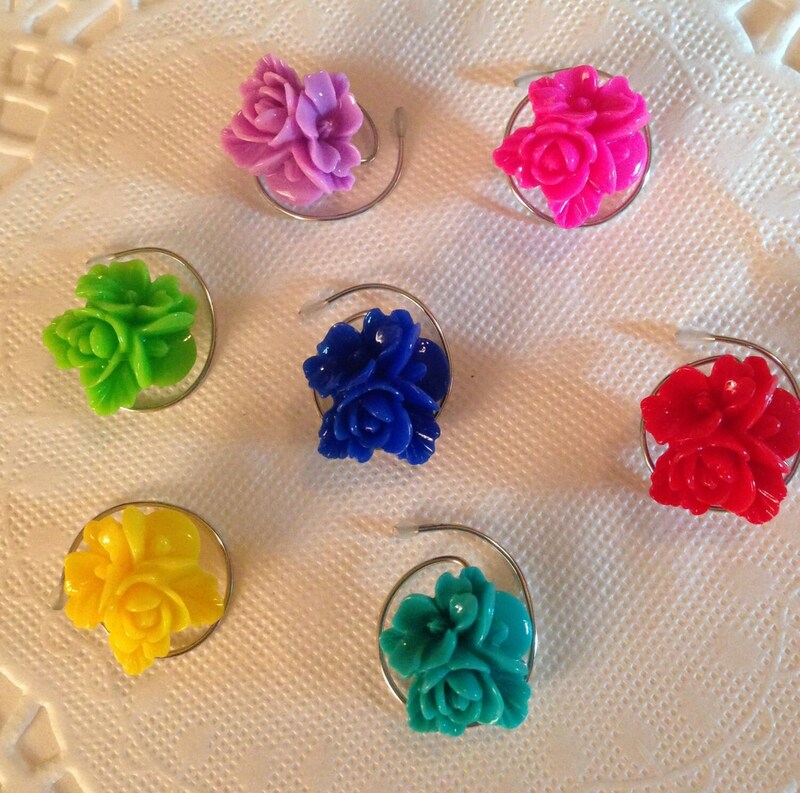 These large 16mm flower hair swirls will dance in your hair. 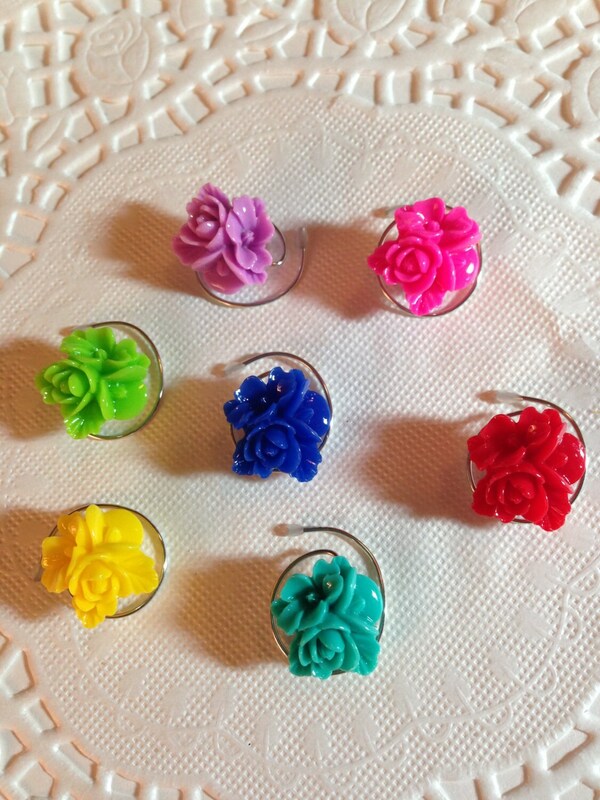 You will receive 7 different colors: Teal, Yellow, Royal, Lavender, Lime, Hot Pink and Red. The flower is about 3/8 of an inch across in size. 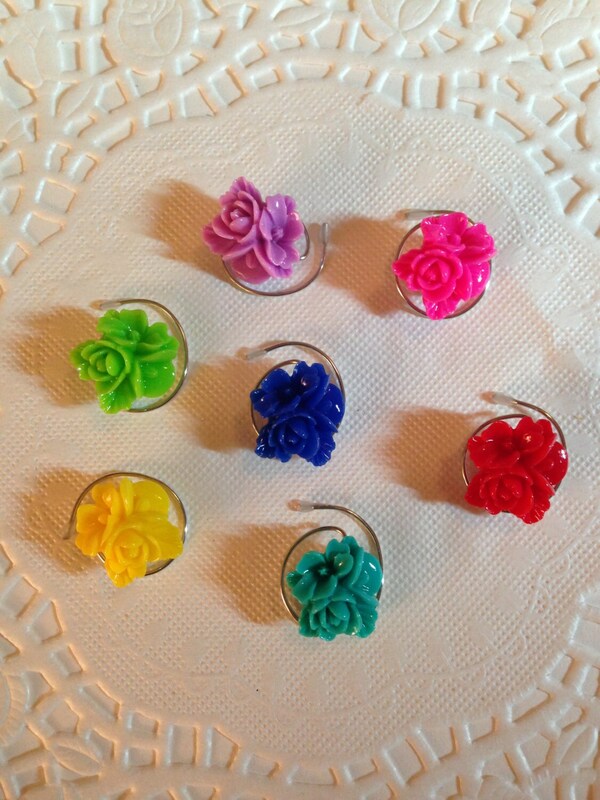 The perfect hair accessory to match that colorful outfit. Can be worn in long hair or short hair! The perfect hair jewelry for every occasion. Add them to the Easter Basket of your favorite little girl. Girls from 3 - 99 can use them! Oh, I forgot my 101 year old mother wears them as well. Check out all the styles and colors! Convo me if you need more than one set and I can make a special listing just for you.